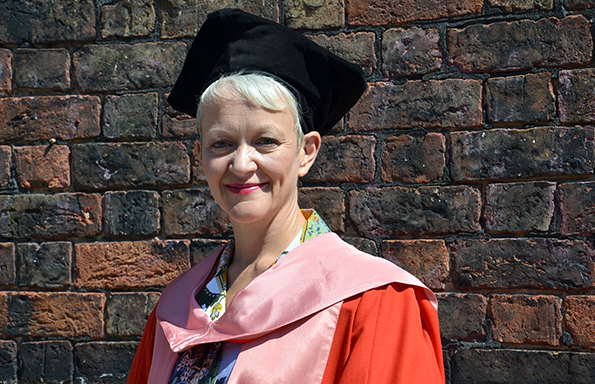 The first female Director of the Tate, Maria Balshaw said her Liverpool student self would consider it “absolutely unbelievable” to be returning 27 years later as an Honorary Graduate. The former Director of Culture at Manchester City Council graduated from the University in 1991, with a BA (Hons) in English Literature and Cultural Studies. She said: “It’s a real pleasure to be asked to come back, 27 years since my first degree here. Maria said it was thanks to the “great encouragement” of her lecturers here in Liverpool that she went on to pursue post graduate study; gaining an MA in Critical Theory, followed by a DPhil in African American Visual and Literary Culture, both from the University of Sussex. But it was her time in Liverpool that sowed the seeds of her future career at the pinnacle of the British art scene. Maria said: “It was a fortunate accident. “I fell in love with going to galleries and thinking about art while here in Liverpool – it was one of my big experiences. With an established research background, Maria diverted from her “training to be an academic” path after “somebody suggested” she apply for a research project partnering arts organisations with schools. She got the job and “as soon as I started, I was thinking; really this is what I’m supposed to be doing”. Today, she is on the National Council of the Arts Council England and was appointed a CBE in the Queen’s birthday honours list for Services to the Arts. And her passion for role of art in education remains undimmed. Maria said: “Art allows you to see the world through somebody else’s eyes.